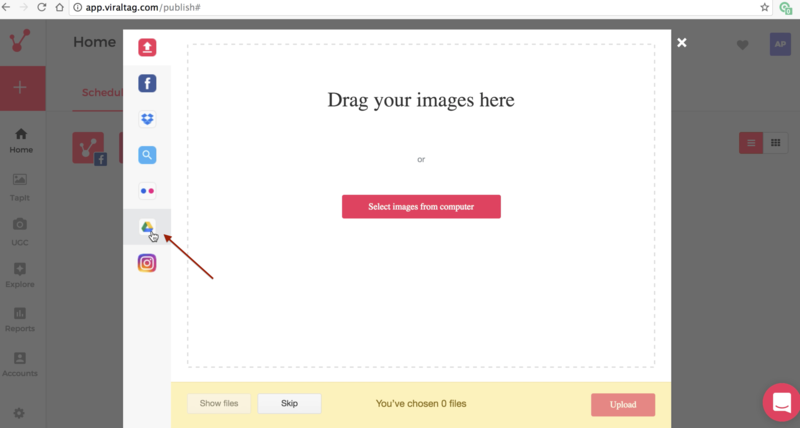 You can choose to upload images directly from your Google Drive. 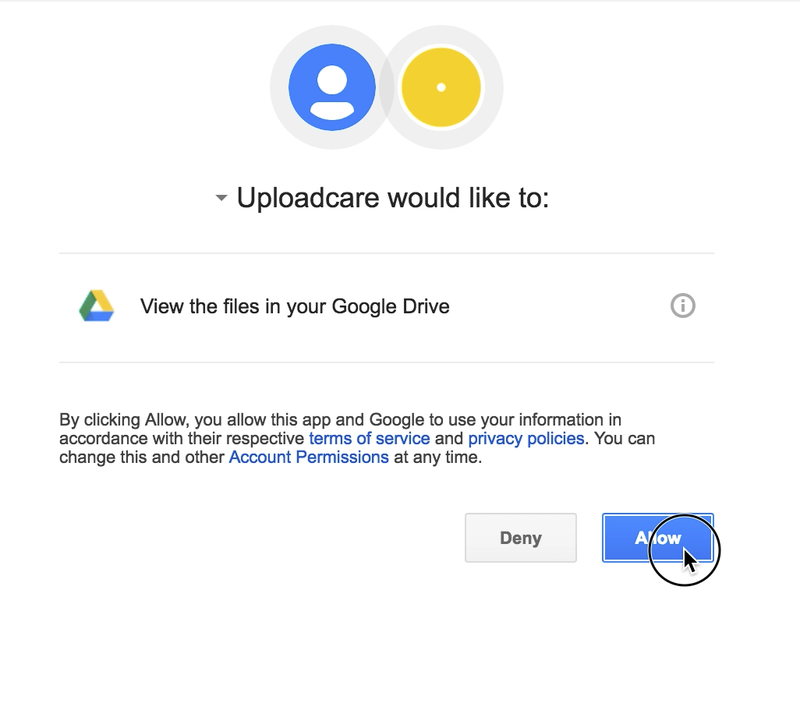 Check out the video demo or refer to the detailed steps below to upload from Google Drive. 1. Click on "+" from the panel at the left of the screen or select "Create a Post"
2. This will open a window allowing you to choose your source for photos. Click on the Google Drive icon on the left of the window. 3. 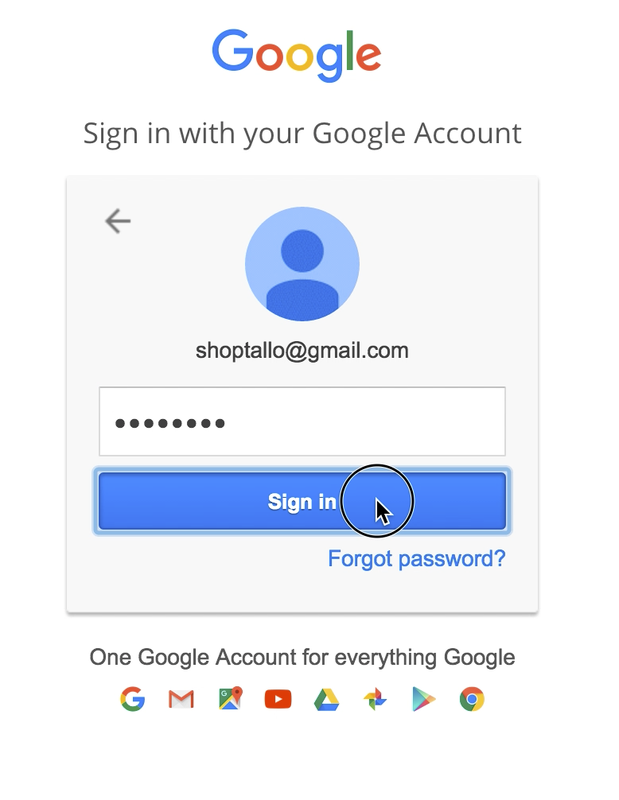 You will be prompted to connect your Google account to access your photos. 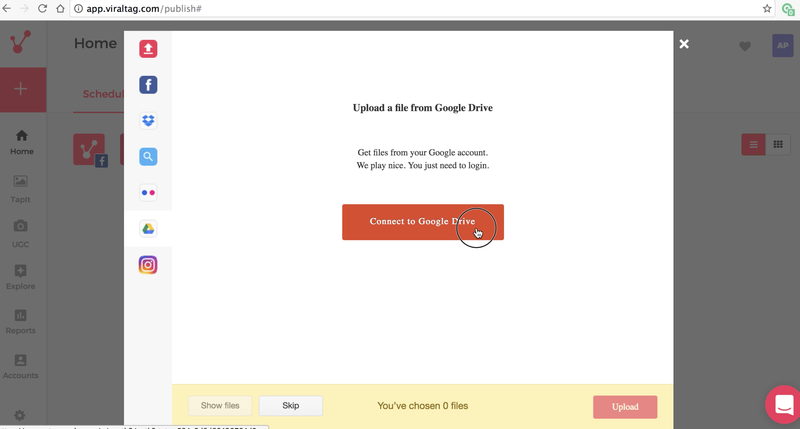 Click on "Connect to Google Drive." 4. Type in your Username and password, then click on 'Sign in' to continue. 5. 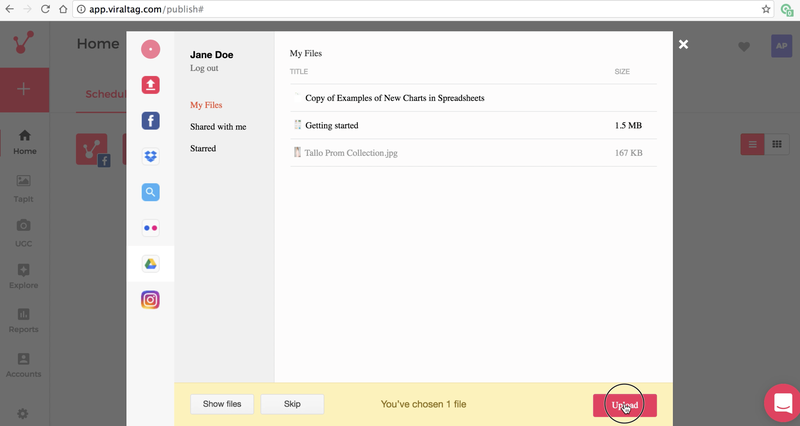 A new tab/window will open asking for permission to view files in your Google Drive. Click on "Allow" to continue. 6. You will now be redirected back to the Viraltag page and will be able to see all the photos on your Google Drive. 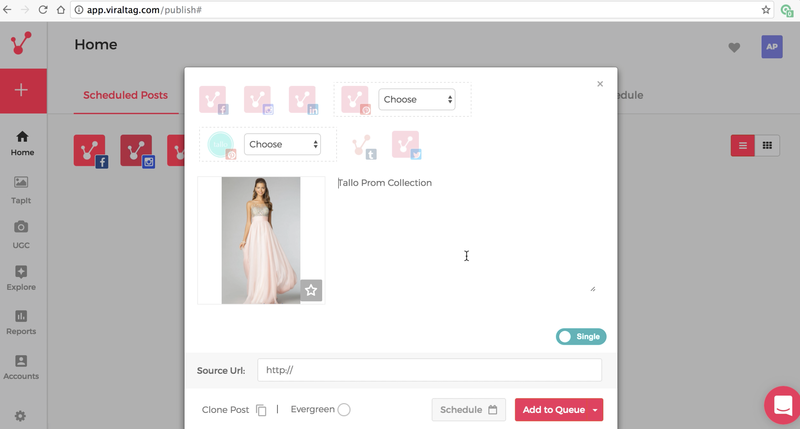 Select the image that you wish to schedule, wait for it to load, and click on the "Upload" button on the bottom right hand corner of the window. 7. 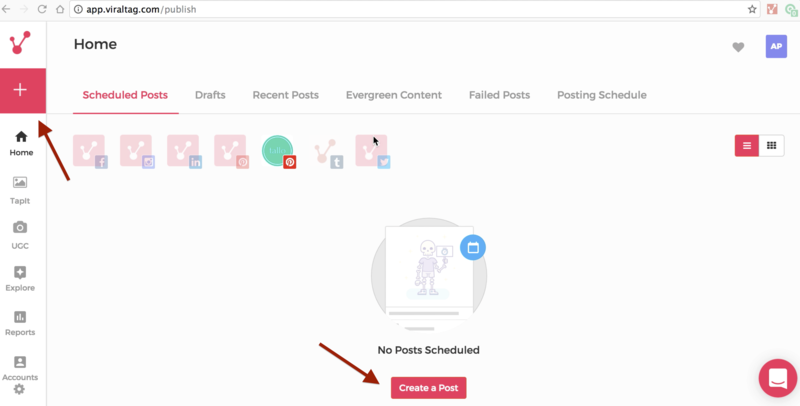 You can now schedule your image as you normally would. If you would like more details on how to proceed from here, click here.